Floodlight brackets offering a choice of swivel, corner and pole mounting. Floodlight Bracket 10W LED Or 500W Halogen is rated 4.6 out of 5 by 16. Rated 4 out of 5 by Anonymous from sturdy seems to be a sturdy bracket with a galvanised finish. Hope it won't go rusty. Rated 5 out of 5 by Richard Brown from Floodlight Bracket Great little bracket for the price. Well made from heavy grade steel (not thin & weak). Rated 4 out of 5 by Dave303 from Really handy little bracket I purchased a 15watt LED floodlight to replace an old halogen one, the old one swiveled left/right as well as up/down so I wanted the same for my new light. this did the job really well, easy to fit and adjust and can be tightened so that it does not move. It might get 5 stars but until I know how well the metal lasts ie does not rust im giving it 4 stars. Rated 5 out of 5 by Halo from High Quality Fitting USed recently to mount a floodlight giving me sideways adjustment. Rated 2 out of 5 by Robw3354 from Parts missing! 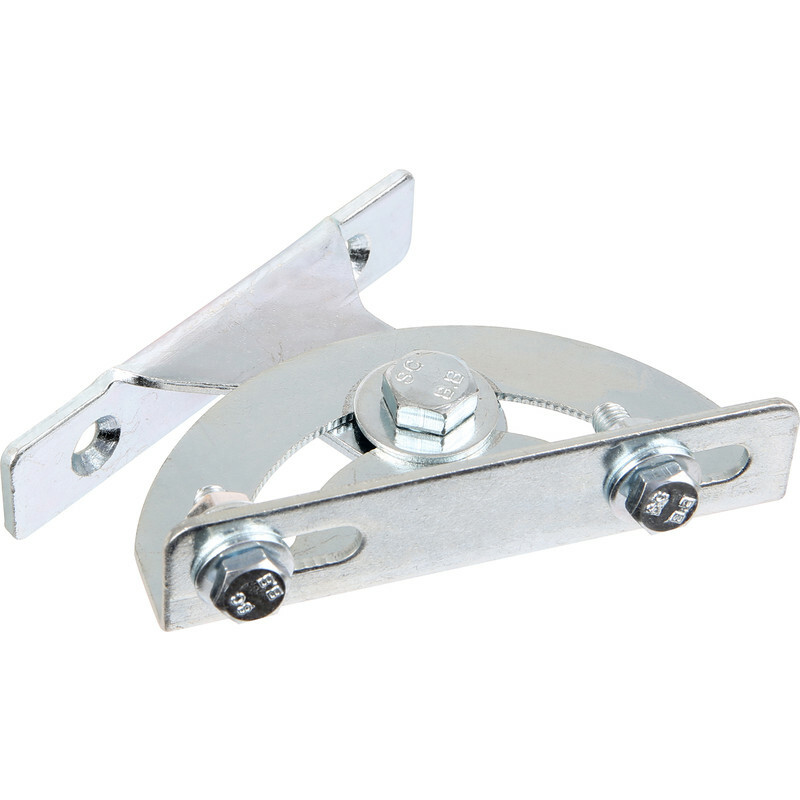 Item itslef is ideal for mounting lamps that need to be angled. Quality is strong and sturdy. Problem with mine was that I had a part missing - namely a nut for one of the mounting bolts hence three stars and not four! Fortunately, I had similar sized spares of my own so wasn’t really a problem.